Nath (nose ring), in 22K gold plated with black antique and maroon red. 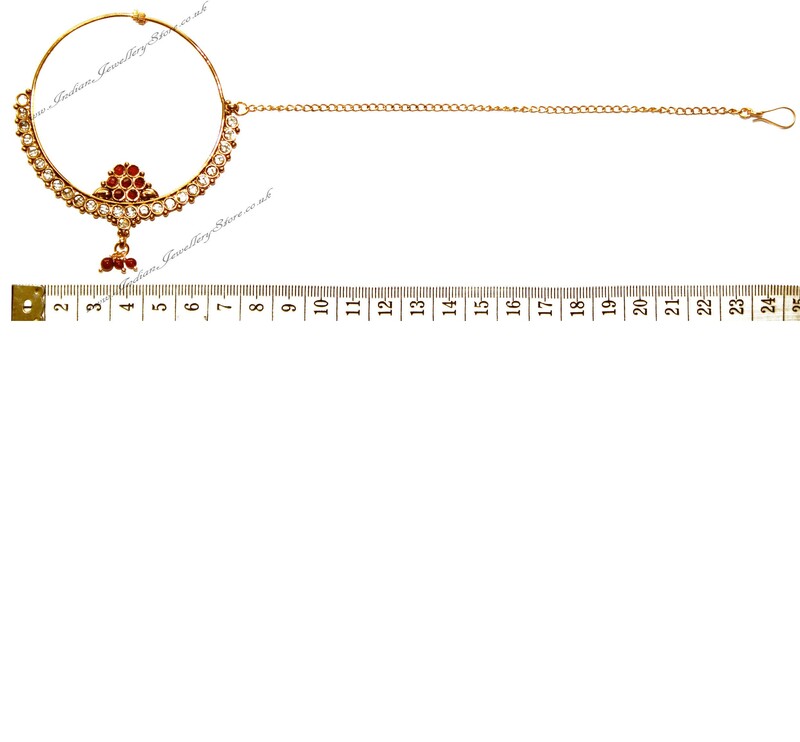 Set with polki stones. This nath is designed for non-pierced noses, so you do not require a nose piercing. This is a SUPER large nath, recommended as a fashion item for photshoots. It is SO big that we do not advise wearing it while moving as it will fall off. To wear while moving it will be ncessary to use the chain to hold the nath up by having the chain TOTALLY TOUGHT, so chain cannot be draped. Scale shown in image is in cm.